From the Pre-School parent who wants to learn more about the traditions behind projects her child brings home from school, to the area resident who is curious about a long-forgotten family heritage, there are many adults who seek to expand their Jewish horizons. The Center's fully-equipped campus will expand the horizons of Jewish learning for its students allowing for greater class attendance in a spacious and comfortable setting. 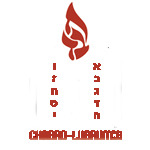 Chabad's adult education classes offer an intellectually stimulating and non-judgmental way for adults to grow in Judaism. With classes on holiday traditions, prayer, Torah, Hebrew language, ethics, Chassidic philosophy, Jewish mysticism, Kabbalah and more, the adult program provides a welcoming environment that invites deeper involvement in Jewish life. Whether you want to learn how to keep a kosher home or observe Shabbat, or you are wrestling with deep philosophical questions, our learned and friendly teachers will help you find the knowledge you seek.